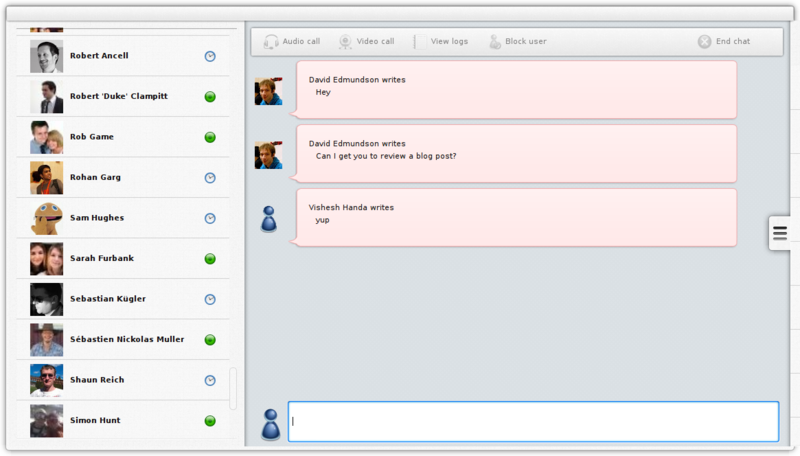 No tablet would be complete without instant messaging. Thanks to awesome bachelor thesis work we had a non-working mockup of an active client. This active client remains separate from our desktop work. In recent weeks I’ve been transforming this code to go from a non-working prototype to something working with real contact lists and text chats. Install the latest version of plasma-mobile-components. Personally I use project-neon for this to keep a separate environment. You will need to open system settings and change your workspace theme to “Air Mobile”. You will need to set up your accounts using either our desktop Accounts KCM Module, or manually using the mc-tool command line tool. This sounds awesome, how can I get involved? We have a wiki page for the active project, which lists some tasks to be done. We are not accepting bug reports on ktp-active at this point. Ping me (d_ed) on IRC for details.